Last week I had the pleasure of beta testing the first annual Christian Olympics, along with an amazing group of Christian women. 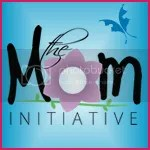 A fun faith-based organization called Love Life Wellness is organizing these special events . Its easy free and fun to join. Everything will be played on-line through facebook and an adorable website named Mindbloom . The fast paced hectic schedules that most women have leave little time to coordinate time for fun and friendship. 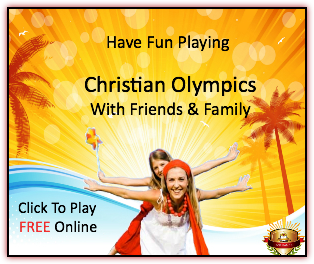 The Christian Olympics has done the planning of these Special events. All that is required of you is attending on-line within the comfort of your own home or wherever is best for you. One of my favorite parts of the Special events is the encouragement that is given abundantly. While nurturing existing friendships you also have the opportunity to start new friendships with other women , who are metaphorically running this race to seek Jesus. For where two or three are gathered in my name , there I am with them (Matthew 18:2o Niv). Nutrition, relationship and faith are all three main components in the special events. I know that making huge changes usually causes me to crash and burn. During the Christian Olympics small improvements will be made. I find I can stick to smaller steps much easier than huge steps . God calls us outside our comfort zones to live boldly for him. The fun special events help creatively push you outside your comfort zone . I almost forgot to mention there are ten really awesome prizes. Also there is a 48 hour online contest two days before the Special events begin. Disclosure: I received a free preview of The Christian Olympics to review. I was not required to write a positive review nor was I compensated in any other way. The opinions I have expressed are my own. I am disclosing this in accordance with the FTC Regulations. I am part of The CWA Review Crew. Thankyou for stopping by Kelly! I had a lot of fun as a tester too….